It isn’t uncommon to get flooded with calls at your heating and air conditioning (HVAC) or plumbing company when the temperature cranks up, or down! Of course it is going to happen… a customer’s air conditioner stopped working or the sump pump croaked and the basement water is on the rise! To your customer, it is Armageddon. To you, just another day in the HVAC or plumbing business! Because you help customers so often deal with emergencies, you may overlook the risk you have and the potential emergency you may face. It is a good thing that Insurance Brokers of Arizona can provide you with just the right advice and professional service you expect when shopping for insurance for your HVAC or plumbing business. Our licensed agents can quickly provide you with options for HVAC Insurance and Plumber’s Insurance in Arizona. And, because we live where you do, we understand some of the unique challenges you may face. 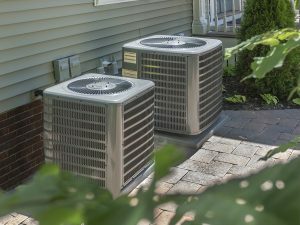 You do a lot in the plumbing, heating and air conditioning (HVAC) business and your business is likely unique to some degree. Let the local independent insurance experts at Insurance Brokers of Arizona to assist you with protecting your HVAC business or Plumbing business with a policy that is just right for you. You’ve worked incredibly hard to establish your business, so it should be protected appropriately. As an independent agent, Insurance Brokers of Arizona can search the top commercial carriers for the best policy for your needs and budget. Contact Insurance Brokers of Arizona today.